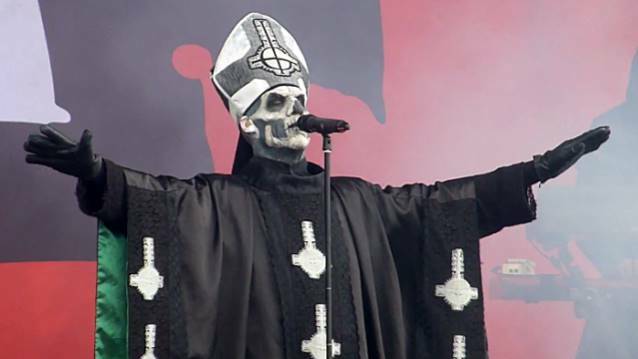 Metal Insider has uploaded a TV spot that apparently aired on VH1 Classic in which Swedish occult rockers GHOST tease the arrival of their third album, "Meliora", and the introduction of the band's "new" singer Papa Emeritus III, the three-month-younger brother of GHOST's previous frontman, Papa Emeritus II (pictured). Check it out below. 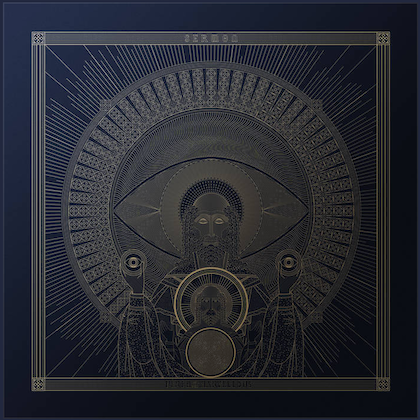 "Meliora" (Latin for "better") is tentatively due on August 21. 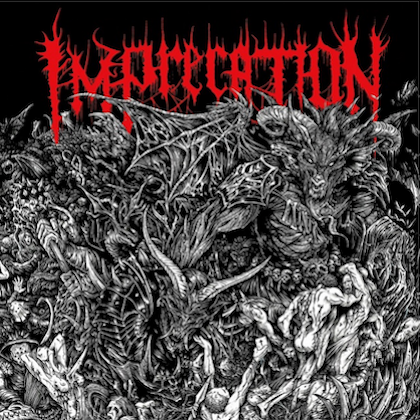 The follow-up to 2013's "Infestissumam" was helmed by Klas Åhlund, a prolific songwriter, producer and guitarist who is also a member of the Swedish rock band TEDDYBEARS, and was mixed by Andy Wallace (SLAYER, NIRVANA, SEPULTURA, LINKIN PARK, GUNS N' ROSES). Songtitles set to appear on the GHOST CD include "From The Pinnacle To The Pit", "Majesty", "Devil Church", "He Is" and the expected first single, "Cirice", which is tentatively due at the end of May or in early June. GHOST's June 3 warm-up show at at Doom in Linköping will serve as the group's live debut with Papa Emeritus III.